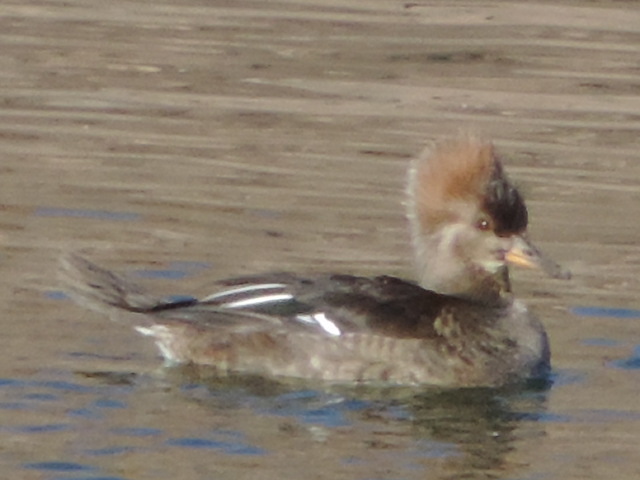 This female Merganser was seen on Lake Havasu quite some distance from shore on January 17, 2014. The location is near Lake Havasu City, Arizona. This photograph was taken with a Nikon Coolpix P520 camera. Hooded Mergansers are not common in Arizona.